Recently bought these as a gift and when they were received the recipient was thrilled! She said they were so pretty and that they brightened her day. Looking for a perfect gift, this is it! Quality is excellent, they arrived quickly and the service by GiftsIN24 is superb! 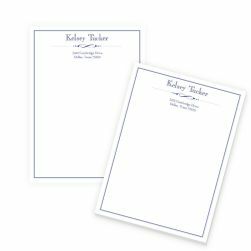 Why settle for plain notepads, when you can have exceptional ones? The Damasco 3-Tablet Set includes 3 different notepads in 3 sizes and designs. 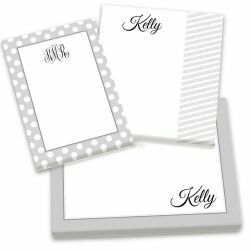 The large memo pad (7.5" x 5.75") features your name in the lower right in a choice of lettering style. 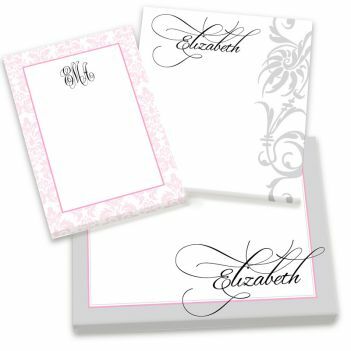 The medium note pad (5.25" x 5.75") includes an elegant damask pattern running down the right edge and your name printed at the top. 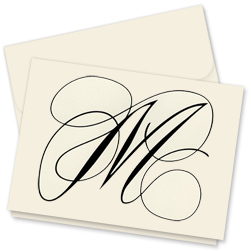 The small tablet (4" x 5.75") includes an attractive floral border and your monogram. 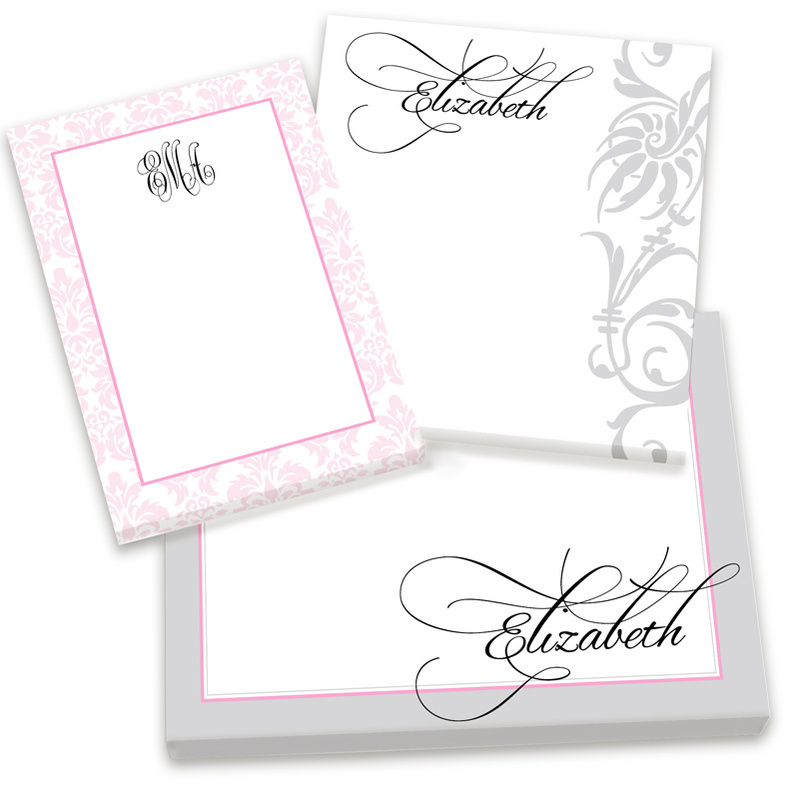 Printed on our exceptional white paper, the personalization is in black matte ink.